SNCF is the National Society of French Railways or the French National Railway Corporation. 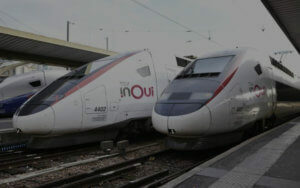 It is France’s national state-owned railway company that operates the country’s national rail traffic (including that of Monaco’s), the TGV (Train à Grande Vitesse), France’s high-speed rail networks. The functions of SNCF include the operation of railway services for passengers and freight, and the maintenance and signalling of rail infrastructure. The most recent situation that SNCF had to deal with was a huge renovation on a 60-kilometer railway that they had to finish building in just three months. Because of the short deadline, the project demanded an efficient and accurate initial on-site inspection to identify what works are needed to be carried out so that proper planning can be executed. One of the many pain points the SNCF agents had, was the admin burden that comes with the snagging of tasks on a map and the ongoing simultaneous communication with the office. About 5 to 10 minutes of work is wasted for each remark to be communicated. At the end of each on-site inspection, we have estimated that at least 20% of time is spent purely on admin work. Copious hours are needed to compile all remarks or to explain them in details so that succeeding workflows can take place with minimal issues. Because tracking is usually improvised depending on the attending SNCF site manager’s idea of “best practice”, there is a variation of the quality of issue tracking and management. By designing a common way and platform of working for all site managers and project managers, collaboration with the planning office has greatly improved. They’ve done this with the process of digitally creating on-site inspection reports and sharing them immediately to the office in real time. This streamlined workflow has increased work efficiency and collaboration with a documented 18 hours of admin and follow-up work being saved on a monthly basis. By replacing paper-to-Excel/Word remarks reporting with a digital solution, no additional admin work is required during the on-site inspection phase. SNCF agents are able to save precious time and are capable of faster work execution per needed. Finally, the digital solution with APROPLAN allowed SNCF to finish their detailed planning before the deadline, which gave the advantage for the next phase of the renovation project.